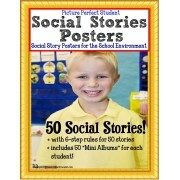 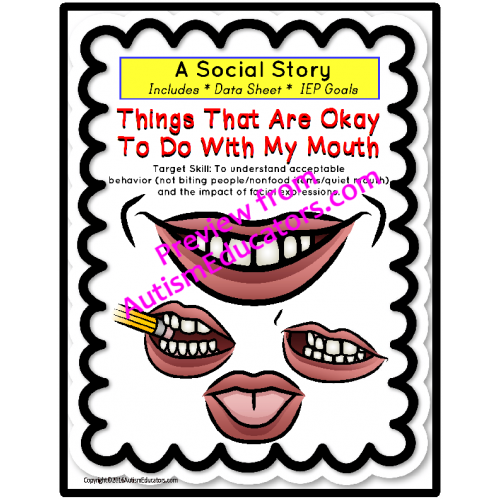 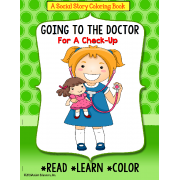 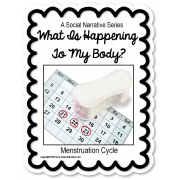 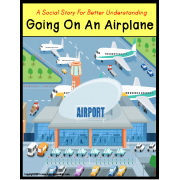 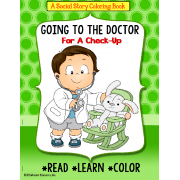 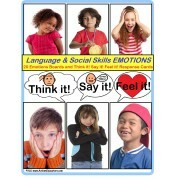 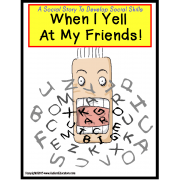 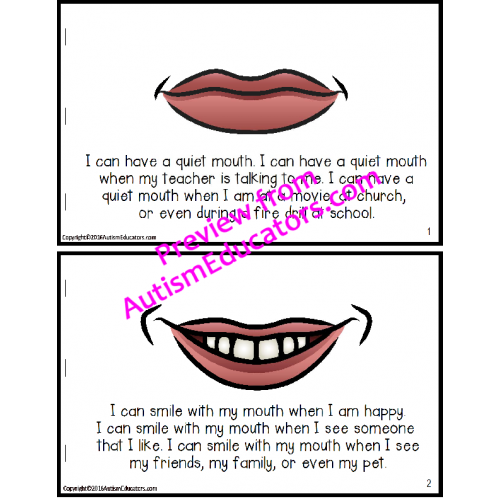 This 12 page social story shows a mouth and facial expressions that represent yelling, smiling, talking, quiet mouth, sticking out tongue, kissing, grimacing, frowning, licking, and biting. 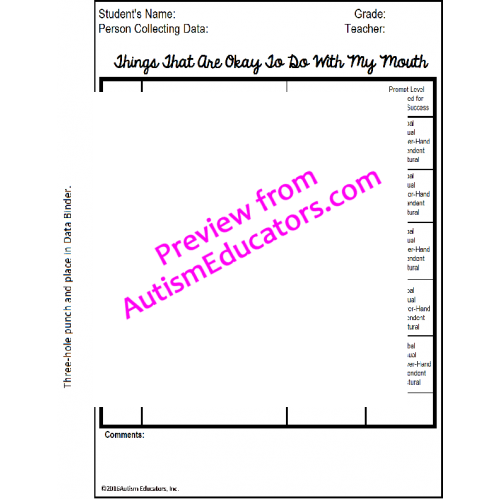 A data sheet and IEP Goals are included to help record events, the antecedent, and level of prompting for student to demonstrate success. 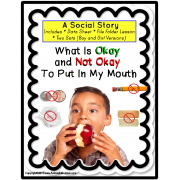 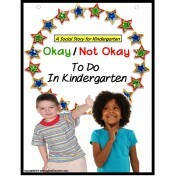 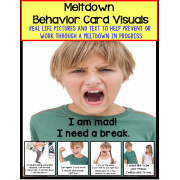 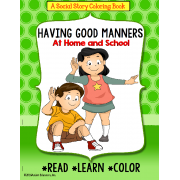 Given a social story about what is okay and not okay to do with your mouth (no biting, eating non-food items), STUDENT will refrain from putting non-food items in his/her mouth, in 4 out of 5 teacher observations, by MONTH, YEAR. 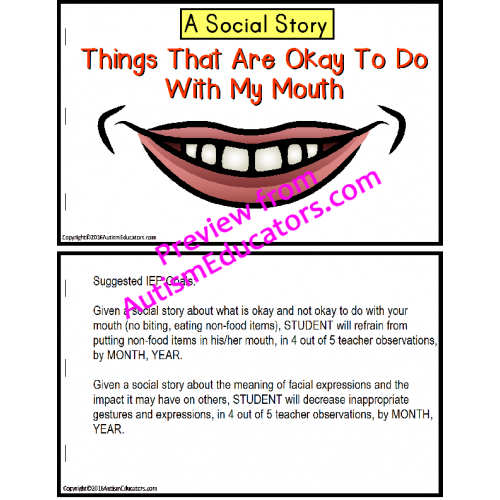 Given a social story about the meaning of facial expressions and the impact it may have on others, STUDENT will decrease inappropriate gestures and expressions, in 4 out of 5 teacher observations, by MONTH, YEAR. 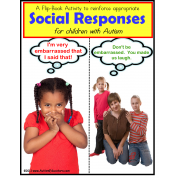 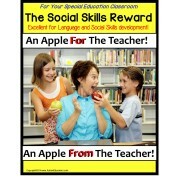 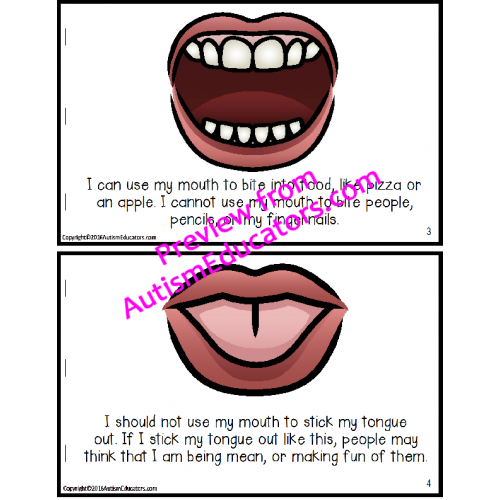 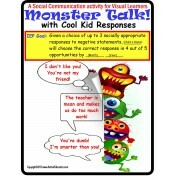 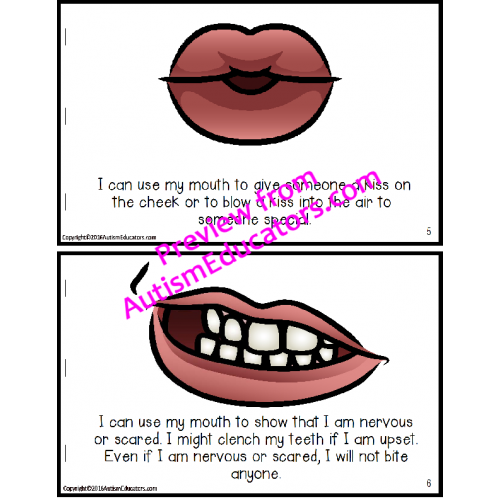 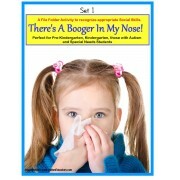 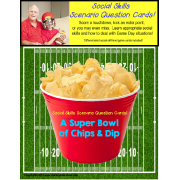 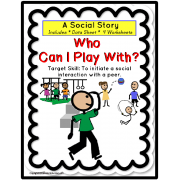 Social Skills for Autism: A Super Bowl of Chips and Dip Game!